Flotation therapy may be a new concept to most, but has actually been around for decades. Freed from external stimulation, floating weightless atop a bath of Epsom Salt water heated to match your internal body temperature; Sensory Deprivation Tanks allow your body to achieve a state of deep relaxation that is more beneficial than sleep… Even when we sleep, our body is still receiving sensory signals from things such as gravity, the bed sheets on our skin and sounds around us. So by completely removing those stimuli, your mind can focus purely on rejuvenation and repair. Despite its recent spike in popularity, Float Tanks have actually been used as a form of therapy since the 1950s as a way to insight creativity, concentration and connection to others. In 2018, floating is now more widely known and researched for its ability to reduce the body’s stress response, inducing deep relaxation and quietening the minds chatter. Essentially, floating helps to lower cortisol levels and calm the nervous system; activating the parasympathetic nervous system, decreasing the activity of our sympathetic nervous system, and helping to restore balance of our immune and hormonal systems. More research is being done into the application of float tanks as a recognized therapy for different types of emotional distress such as PTSD, chronic pain and sleep difficulties. A study measuring the beneficial effects of sensory deprivation in the flotation tank (Kjellgren, A., & Westman, J. (2014)) showed results of a significant decrease in stress, depression, anxiety and pain, and a correlating increase in optimism, sleep quality and daily mindfulness. Sold, right? Now you’re probably wondering how often you should be incorporating a float. Ideally, once or twice a week is the way to go, but everyone’s budget and schedules are different; so all I’m going to say is that the best thing you can do is just float whenever you can. Meditation: a lot of people swear by it, and a lot of people shudder at the mention of the word. What comes to mind when you think of meditation? 1hr of sitting cross-legged in silence; 2 minutes of watching your breath; a walk in nature with no distractions; or an uncomfortable and forced stillness? Most people think of meditation as a form of physical relaxation and ‘zen’. However, the latest studies are showing that actual changes in the brains structure may be why people experience improvements and benefits beyond just the token relaxation. A recent study concluded that meditation actually CHANGES the gray-matter in your brain. The 8 week study conducted by Harvard researchers at Massachusetts General Hospital specifically noted that the gray-matter in the hippocampus of the brain, the area responsible for learning and memory capacity, increased in density, as well as other parts of the brain involved in self-awareness, introspection and compassion. Participants incorporated 30 minutes of audio-guided meditation per day, and practiced non-judgemental awareness of sensations, feelings and state of mind. A classic reason for resistance to meditation can be peoples’ struggle with ‘emptying their mind’ and ‘clearing their thoughts’. Our brains are busy these days, I get it. For some, that even sounds impossible. But the misconception about meditation is that it requires the empty mind, the 1hr of your day, and that unless you do it a certain way, you won’t reap the same benefits. The beauty of meditation is that there is no right or wrong. Consider it more as a state of being rather than of doing. One can be engaged in ‘meditation’ on a walk, for 2 minutes in your car before your next appointment or meeting, or as you drift off to sleep at night. A handy method is the 5:5:5:5 (you can substitute any number in there but 5 is a good place to start)…. Inhale for 5, hold the breath for 5, exhale for 5, hold the empty for 5, and then repeat. Guided meditation is also a great option; I love using an app called Insight Timer. It’s an endless library of guided meditations, with different lengths of times, styles and voices. Any more questions, let us know. Happy meditating. Blue light and your eyes!! There’s evidence that the blue light your eyes take in when you’re looking at a screen can sabotage your sleep and mental health, cause eyestrain (and crows feet), and can even damage your skin. I say no to premature wrinkles. However, it’s not all bad. Blue light is naturally produced by the sun (it’s what makes the sky look blue), and is incredibly beneficial and necessary for natural circadian rhythms and regulating our sleep and wake cycles. 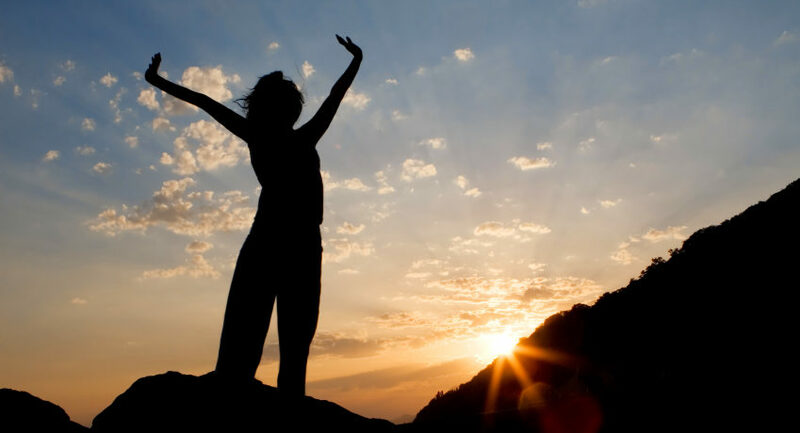 Natural sunlight in the morning is known to increase your alertness, elevate moods and increase your overall feeling of well-being. My hot tip? Sit outside in the mornings with your tea and soak up those rays, but leave the sunglasses inside. From your nine-to-five job to your food-filled Instagram feed and the occasional night-time Netflix-binge session, you’re likely spending most of your day looking at one screen or another. It’s okay, we all do it. But since discovering the (pretty major) downsides of our technological habits, I have delved deeper into ways we can minimize the disruptive effects that artificial blue-light has on our sleep and our natural circadian rhythms. Because if there’s one thing I enjoy more than a Netflix binge…. It’s a restful nights sleep. It’s the artificial sources, including laptops, phones & televisions, even fluorescent or LED lights that can be harmful. Too much exposure to these, particularly at night-time, aka social media peak hour, it can suppress the secretion of melatonin; one of the hormones that influences our circadian rhythms. We’ve got two options here… To reduce the amount of screen time during our days, or at least at night; I don’t know about you, but easier said than done when the Bachelor is on. Switching on ‘Night Mode’ on your phone is a free and simple hack too. Or invest in some ‘blue-blocker’ glasses; they have special lenses that filter out the harmful blue light, reducing the disruptive impact on our sleep. Our fave, superchic option is Baxter Blue. When approaching health from a holistic point of view, exercise is one of the key ingredients required. There are many ways to get your body moving; aerobic/cardio styles, weights, incidental exercise around the home or workplace, and mindful exercise such as yoga and Pilates. Let’s hone in on one particular style; one that is beneficial for women’s health, one that works the deep stabilising core muscles and the pelvic floor, and one that has been proven to be effective in reducing the levels of cortisol (a stress hormone) in our body; Pilates. We have all heard the term ‘pelvic floor’ before, and probably have a relatively good base level understanding of its importance; don’t forget your kegels ladies. But of course, without the proper exercise and engagement, there will be no benefits. Essentially the pelvic floor is a hammock of muscles and ligaments that attaches to the pubic bone, sit bones on both sides and to the tailbone. Its main function is for bladder and bowel control of course, but it plays a HUGE part in supporting the weight of a growing fetus during pregnancy; facilitating the birthing process and also support and stability for the spine. The prevalence of core focused movements throughout Pilates is the perfect way to incorporate targeted exercises for your core and pelvic floor. While Pilates has an element of dynamic cardio and fitness, the relation and importance of breath with movement, awareness of posture, and correct engagement of your core separates it from your regular fitness classes. The mind/breath/movement connection makes it a calming form of exercise, which calls for a lot of focus and coordination. A group of researchers from the University of Illinois reported in the Journal of Physical Activity & Health that Pilates has been proven to significantly reduce stress levels, improve memory and function of your nervous system, as well as increase overall happiness and creativity. Also check out our blog re yoga and pregnancy. If you’re living the fast paced life just like so many of my patients then it’s possible you’ve developed adrenal fatigue. 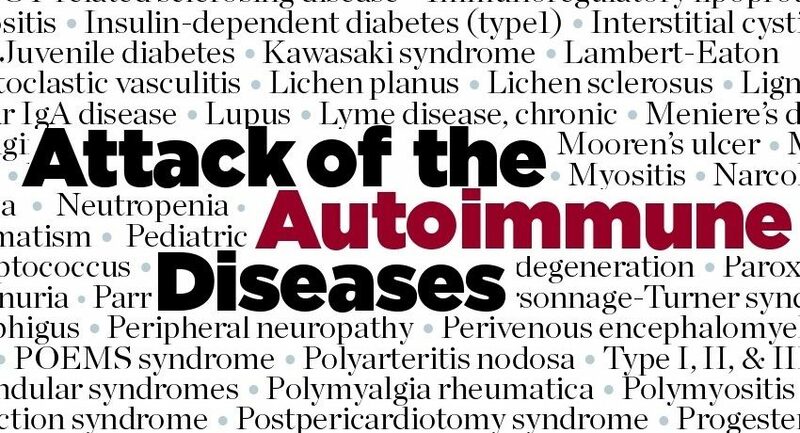 This condition supposedly affects around 80% of the population at some point in their lives. Yikes! I certainly see a lot of it. We ask so much of ourselves in the 21st century. Our ability to bounce back from emotional, mental or physical stress is dependent upon whether we give ourselves down time to recover or just push on. These days many just push on. Busy jobs, gym sessions, trying to become pregnant and exposure to the modern world isn’t necessarily what we were built for. Sure, we may be able to juggle these things, but when something additional is thrown into the mix such as disappointment of negative pregnancy results, illness within the family, job changes, etc, then the body goes into overload. Where’s the time for recovery? So, what are the adrenal glands and why are they so important? The adrenal glands are two little thumb-sized organs that sit above our kidneys. They’re one part of the endocrine system and are involved in producing over 50 hormones which monitor all our bodily functions. As I often harp on about, our hormonal system is a delicate system that needs to be kept in tip-top condition, especially for fertility. Estrogen and testosterone are balanced by the adrenals when all is working well. When we’re under any sort of stress, the adrenal glands release adrenaline hormones which rushes blood to the heart, brain and muscles in a fight or flight response. Then the adrenal cortex pumps out corticosteroids to slow down the functions in the body which aren’t urgently required for survival, such as our immune and digestive systems. So, this process takes its toll on the body when we expose it to stressful situations over and over again. There are some medical conditions that also ave an affect on adrenal function such as Addison’s Disease which can trigger similar symptoms as adrenal fatigue! If you suspect your adrenal glands are not functioning properly then you should see an endocrinologist and have the appropriate tests done. In the meantime, follow a healthy diet full of plenty of vegetables and good quality protein. Avoid preservatives and junk foods and any foods you may have allergies to. 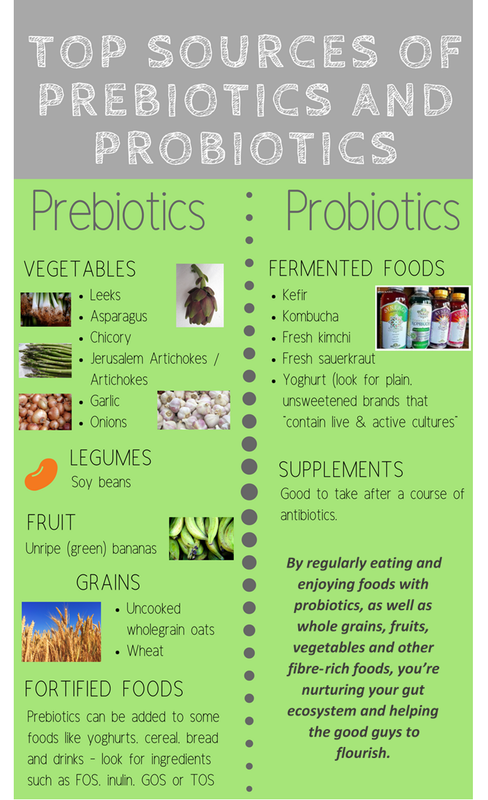 Keep your gut health strong by eating fermented vegetables, natural yoghurt and take probiotics to improve digestion and better food absorption. Finally, minimize coffee and alcohol intake, drink plenty of water and make time to sleep properly. The rules never seem to change do they? Be sure to have a look at our article on Estrogen Dominance. What I like about Maca is that it’s a food not just another supplement. It’s been around for centuries in South America and used by men and women for a wide variety of ailments. Maca acts on the body as an endocrine balancing agent which means it helps regulate hormones, whilst balancing thyroid and adrenal functions. If estrogen production is too high then progesterone can become too low. This is when Maca may be helpful. It has been shown to increase progesterone while controlling estrogen and can be helpful for women with short Luteal phases. 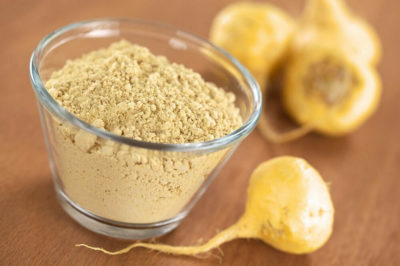 Men too can benefit from Maca, by its abilities to increase healthy sperm production and improve libido. We recommend 1,500-3,000mg daily. Please note that it’s important to have a break for a few weeks after about 3 months of taking Maca. This is to ensure the body remains responsive to its phytonutrients. Like with many herbs and supplements we do not recommend continuing to consume it through pregnancy. Although people have been known to take it with no toxic affect on mother and baby, there is just not enough evidence to be certain. On a final note, please know that Maca comes in a variety of colors from golden to red, purple and even black. The darker shades contain higher amounts of iodine which could wreak havoc with your thyroid. In some cases this could be beneficial, but mostly not. So, stick with the golden color and remember that more is not always better! Now go find some of this super…food! Be sure to check out our blog re Magnesium. Magnesium is probably my favorite supplement! It’s becoming every practitioners best friend! As we get older our bodies become less efficient at absorbing minerals and considering magnesium is the 4th most abundant mineral in the body we require plenty of it to be replenished. It’s used by every organ in the body to build DNA and for detoxification. In our culture today we tend to consume too much calcium and not enough magnesium. This is what causes our muscles to go into spasm and is linked to heart attacks. The calcium causes the heart muscles to contract and there isn’t enough magnesium to allow it to relax again. Unfortunately, it’s being farmed out of the soil over the years so even thought it’s found in green vegetables the quality is not as it once was. It’s still important, however, to eat plenty of rich green vegetables, beans, nuts, seeds, avocados and seaweed to top up your magnesium. In most cases we require a supplement (preferably powder form) to be sure you’re receiving a good dose and the right absorption. There’s new evidence to show that magnesium L-threonate is better absorbed and has amazing cell penetration. This is important because the majority of our magnesium lives in our cells not in our blood (this is why blood tests rarely show magnesium deficiency). Whichever source you use make sure it doesn’t contain too many unnecessary fillers – Vit D, Vit K2 and calcium also help better the absorption of magnesium. Within the clinic I see so may ailments easily remedied with a daily dose of magnesium powder. Most commonly are headaches, constipation, insomnia and nervousness. 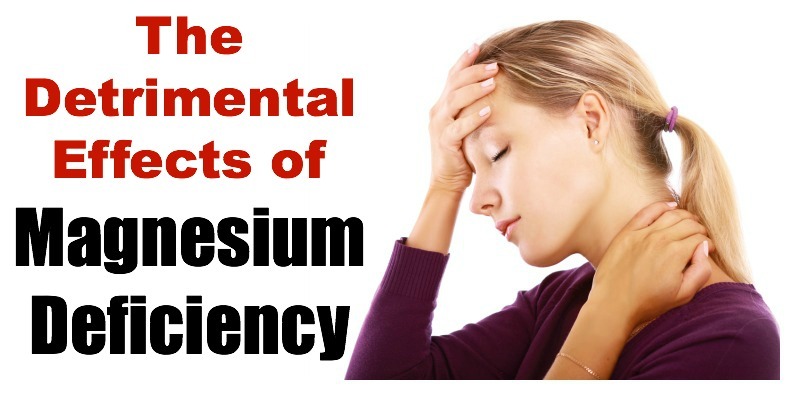 There’s plenty of evidence showing a long list of issues caused by magnesium deficiency. Also important to note that too much sugar causes our body to excrete magnesium through the kidneys leading to a deficiency. Other than foods and supplements, magnesium can be absorbed through the skin by doing epsom baths and using oil a few times a week. Ask your practitioner if you could benefit from some form of supplementation. Read our blog re Vitamin D deficiency…as well.. Suffering from the post holiday lulls? Pants too tight? It’s not always easy to break habits such as overeating and binge drinking. Planning is the key. Set an initial goal of 1 week. Most people find the thought of eliminating sugar and alcohol for any length of time to be overwhelming. This only sets you up for failure. Generally, a week a of healthy habits leads to a more ongoing routine. Set aside a week to reset by replacing alcohol and soft drinks with heaps of water and herbal teas. Include loads of veggies and fruit (berries are best)…sugar cravings will dissipate. Go easy on carbohydrates, especially at breakfast, and start to burn off that excess glycogen (excess glycogen leads to excess calories). Note to self – if you cave in at any point, don’t punish yourself by continuing to binge. Wake up to a new day and reset! Who’s not confused about soy? Is it good for you or does it cause cancer? When has any food had such extremes in its reputation? Well, when it comes to fertility there are some take home rules about soy products, but let’s have a look at where some of these soy rumours have stemmed from. 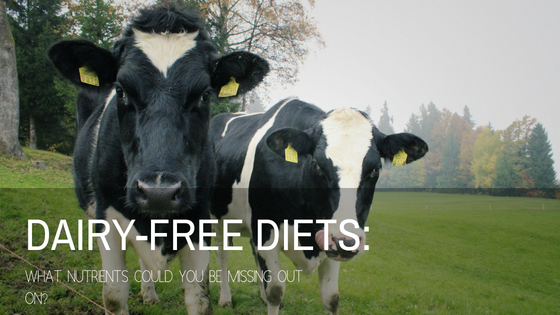 Firstly, soy can be found in almost 50% of foods, which makes it hard to avoid. It’s in everything from protein bars, powders, sauces, cereals and even fast food. Soy in its processed form is a cheap filler and has a neutral taste so it doesn’t upset the flavours of its carrier (eg. a Big Mac). You can find it listed on labels as ‘soy protein’, ‘hydrolyzed veg protein’ and ‘textured veg protein’! Keep an eye out because in this form soy can cause an array of problems. Over 3,000 research studies have been devoted to this topic, hence all the hype. If you are trying to become pregnant then it’s important to understand the difference between ‘processed soy’ and ‘natural soy’ products. Over the past 20yrs we have consumed a lot more soy, mostly in its processed form. What we do know is that soy is a phytoestrogen which can mimic the body’s natural estrogen and disrupt the normal production of hormones. Aspects of these phytoestrogens can cause stress on sperm, leading to DNA damage and increased risk of miscarriage. Recent studies report that the link between higher consumption of phytoestrogens foods over the last 20yrs and a decrease in sperm quality and pregnancy rates is of a major concern. Genistein, which is a phytoestrogen, can also sabotage sperm on its journey to the egg. This then leaves the egg unfertilized once again. Not only is it an issue for couples trying to conceive but also for health in general. Over consumption in its processed form has been linked to many cancers. So, why would anyone in their right mind eat it? Well, to be fair, most of the major studies were conducted with ‘processed soy’ which is quite different to the effects of ‘natural soy’. When it’s processed the nutrients are stripped away, sugars and fats are added and its isoflavones (or phytoestrogens) are modified. In its ‘natural form’ those isoflavones help regulate cell growth which can actually protect us from some cancers. Also, in this form soy can help regulate cholesterol levels and reduce pressure against vessel walls of the arteries. It is a much better form of protein for our heart health than animal derived protein and can even reduce the risk of a heart attack, along with Type 2 diabetes and osteoporosis. Studies also show that ‘good soy’ in moderation can improve sperm quality because the phytoestrogens can act as antioxidants and repair DNA damage. So, what is meant by ‘moderation’? The most recent reports are that 1-2 servings of soy are recommended daily. One serving would be equivalent to 1/2 cup of tofu or a cup of soy milk. The best forms to eat are organic tofu, edamame (soy beans), and fermented soy such as miso and tempeh. These fermented forms are full of probiotics which are great for our gut health and high in B12 which is needed to metabolize fats and carbs. How lucky we are to live in this modern world with access to almost anything we want and whenever we want it, right? Familiar with estrogen dominance? Unfortunately, we’re being over-exposed to endocrine disruptions in our advanced and heavy consuming industrialized world. Endocrine disruptions such as xenoestrogens can be found in our everyday life in things such as, shampoo, water, foods and even the air we breath. These xenoestrogens can lead to estrogen dominance because they mimic the functions of our natural estrogens and attach themselves to our cell’s receptors then taking over the natural estrogens abilities. This then causes estrogen dominance which can cause menstrual issues, fibroids, cysts, weight gain, tumors, thyroid issues, PMS and even breast cancer. So what can we do to help rid the body of this excess estrogen? Well, start looking after your liver! The liver is the one that decides if estrogen is going to stay in its healthy form or be converted into cancer-causing estrogens. Eat plenty of green vegetables, good quality proteins, filtered water and plenty of sleep. The liver, thyroid and adrenal glands all work together to keep our hormones in balance so live a balanced healthy life to support their functions and eat plenty of anti-inflammatory foods. Acupuncture with IVF may double the chances of a woman conceiving, a study has found. Among couples undergoing the fertility treatment, the likelihood of pregnancy was greatly improved if the woman also had acupuncture with IVF. Scientists at Homerton University Hospital studied 127 women aged between 23 and 43, on their first or second cycle of IVF. They were split into two groups – one having four sessions of acupuncture with IVF, and the other having none. The needle technique was used before any eggs were retrieved from the woman’s body – and then again before and after the fertilized embryo was implanted. The researchers, led by Karin Gillerman, said previous clinical trials have ‘precluded any firm conclusion’ about the treatment. However, they warned that simply the act of paying more attention to the group who had acupuncture may have acted as a placebo effect. The NHS advises on its Choices website that acupuncture is safe when practised with good hygiene by a qualified practitioner. The main risk to pregnant women having IVF acupuncture is from blood-borne diseases caused by unclean needles – similar to the risks from getting a tattoo or a body piercing – and the chance that these could infect the baby. Local authorities have bylaws that govern the cleanliness of acupuncture premises, their instruments and equipment. Mild side effects include pain, bleeding or bruising where the needles puncture the skin, drowsiness, and feeling sick or dizzy. Gynaecology consultant Stuart Lavery, who was not involved in the research, said there was strong patient demand and interest in acupuncture during IVF treatment among many couples attending IVF clinics. This attempt to eradicate any placebo effect would involve making the patient think they are undergoing acupuncture, when really the needles retract without piercing the skin. 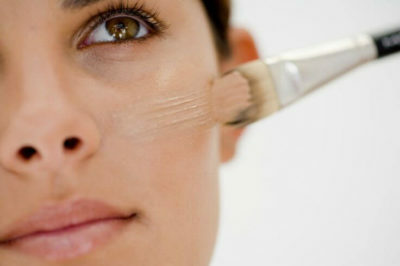 Alternatively, needles are placed randomly, rather than at the pressure points usually specified for the treatment. Mr Lavery said: ‘The placebo effect is very real and we see it in every branch of medicine. He added that acupuncture may only be effective because it involves a practitioner spending time with the patient, and listening to them, something that is difficult in much of the NHS. ‘Patients are looking for someone who can give them that time and listen to what’s going on in their lives, and that may have some therapeutic benefits,’ Mr Lavery said. Pregnancy yoga – There are so many different aspects that contribute to creating a healthy baby and pregnancy. Yoga for fertility is a great way to help support you on journey into a healthy pregnancy. The word Yoga comes from the Sanskrit word ‘yuj’ which means to unite. Yoga is about the connection of mind, body, breath and movement. The mind-body connection has a huge impact on our overall health and fertility. One of the key aspects of fertility is to initiate the relaxation response. Yoga is a combination of asana (postures) and breathing techniques that will actually help you reach that state of relaxation and mediation. Hallelujah! Yoga asana works by increasing strength, improving flexibility and helps balance our hormones and menstrual cycle. Modern research has proven yoga to reduce the stress hormone- cortisol and in yoga physiology it is believed that specific yoga postures increase blood flow and life force ‘prana’ or ‘qi’ to the reproductive organs. Not only are we reducing stress but also increasing our well-being and chances of conceiving. Yoga for fertility focuses on the centers of the body or chakras associated with fertility and reproduction. In particular it uses specially designed yoga poses that open the pelvis and stimulate the second chakra located just below the navel. This vital centre has long been associated with fertility and creativity. But more than just improving blood flow to the reproductive organs, yoga for fertility helps relax the body and restore physical and emotional balance. The breath plays an important role in yoga and has a powerful influence over our physiological and psychological well-being. Breathing is something we don’t pay a great deal of attention too. In fact, it’s is an unconscious response we do naturally. Different types of breathing patterns have distinct physiological effects. When we connect to conscious breath, it triggers the physiological response of rest and digest. Everything in the body begins to slow down; our heart rate, our mind, our breathing becomes deeper and consciously we begin to connect into our body. Suddenly, we notice we are in a more relaxed state. The breath we want to promote in fertility is the belly breath. Slow deep rhythmic abdominal breathing. Belly breathing stimulates our vagus nerve, which controls important body functions such as respiration and digestion and sends sensory information to the brain. Using this breath shifts the hormonal milieu in the body from “flight or fight” to “rest, digest and nest”. Whilst yoga can be described as a physical form of exercise it is so much more than its physical asana. When we break it down, yoga works the physical body in different ways. Yoga works on the mind, and as we become healthier and clearer, space is created for us to have a look at our patterns and contents of our thoughts. Huge! We learn to become the observer rather than the reactor and helps us to identify our patterns of negativity. It unites the conscious with unconscious creating a greater sense of awareness. Rejoice. Yoga finally brings a sense of magic into your daily life. What you practice on your mat you can take off your mat and use in everyday life. This brings a whole new paradigm of health and well- being to you. Acupuncture and the menstrual cycle is a topic we cover all the time – acupuncture can help women who suffer from the all too common, irregular menstrual cycle, including anovulation (failure to ovulate) and PCOS by helping correct hormonal imbalances. Research shows that acupuncture can influence hormonal secretion from the pituitary, hypothalamus, thyroid, adrenals and ovaries. Specific acupuncture treatments are directed at each phase of the menstrual cycle in order to regulate the menstrual cycle, reproductive hormones and any underlying imbalances. Research has shown acupuncture is able to normalise the dysfunction of the hypothalamic-pituitary-ovarian axis which is responsible for regulating reproductive hormones. It is thought that it acts by normalising the secretion of hormones such as GnRH, LH and E2 (Oestrogen). Acupuncture has also been shown to increase insulin sensitivity, and promote blood flow to the uterus and ovaries. The exact mechanism is not understood however it has been suggested that certain effects of acupuncture are mediated through endogenous opioid peptides in the central nervous system, particularly endorphins. Various studies have now shown that individual acupuncture points cause unique responses and acupuncture point specificity is the key to clinical outcomes. PHASE 1: Menstruation (Day 1-5):Day 1 of the cycle is marked by full flow of blood (not spotting), the shedding of lining of the uterus (endometrium). The pituitary signals for the production of the hormones FSH and LH to stimulate growth of new follicles (eggs). Acupuncture treatment during this phase is focused on moving blood to ensure the lining built up from the previous month is fully shed. Treatment during this phase also helps in the reduction of cramping and clotting. PHASE 2: Follicular Phase (Day 6 - pre-ovulation): Oestrogen builds during this phase of the cycle. The increase in oestrogen thickens the lining of the uterus and increases cervical fluid. 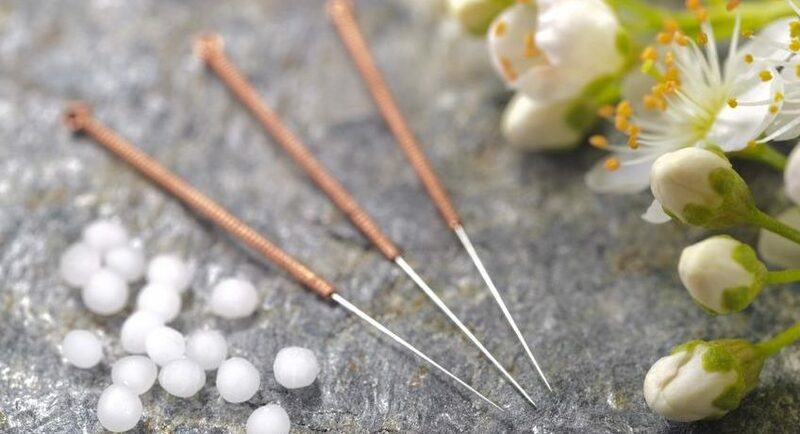 Acupuncture treatment during this phase is focused on improving uterine and ovarian blood flow to aid follicular development, the thickening of the endometrial lining and increase cervical mucous. The release of an egg from the dominant follicle is triggered by a surge in the hormone LH. The cervix is open and fertile "egg-white" cervical mucus increases just before ovulation occurs. Acupuncture treatment during this phase is focused on helping the release of the ovum. It can take three to six months for a cycle to regulate, and depends on underlying imbalances. Ovulation disorders and PCOS require additional treatment in phase 2 (follicular phase) to help bring about an ovulation. Generally electro-acupuncture is used during these treatments. Thought we’d throw in a winter meal warmer! Black bean stuffed capsicums – yum! Heat oil in pan. Add onion and garlic. Saute until lightly browned. Add cooked quinoa, black beans, salsa and feta (leave a tiny bit of salsa and feta to garnish). Cook for about 10 min. Slice the top off capsicum and remove seeds. Fill the capsicum with the mixture and bake on a lightly greased pan for about 20 min. Garnish with avocado mash, salsa and feta. What about natural killer cells and possible immune activity? Generally the role of the immune system is to fight off infection, such as bacteria and viruses. The foetus is classified with a different genetic pattern from the mother, as it contains genetic material from the father. Thus, the immune system can see the foetus as a foreign body. In a normal pregnancy, the body suppresses the normal immune response and the foetus is not rejected (Human Fertilization & Embryology Authority 2010). Natural killer cells are a type of white blood cell and component of the innate immune system (Ntrivalas et al. 2001). NK cells can be found in the blood and also in the uterine lining during early pregnancy – these are known as uterine NK cells. It is now thought that natural killer cells have some involvement in repeated spontaneous abortions (RSA). NK cells originate from the bone marrow, and make their way to the endometrium or decidua via the interaction between integrin β2α and the adhesion of molecule-1 through the blood. Studies have also found the phenotype of uterine NK cells (CD25bright CD16–) is different from that of the NK cells found in peripheral blood (CD56dim CD16+), meaning that testing NK cells in the blood may not be a clear indicator (Rai et al. 2005). Rai et al. (2005) also documented a reduced rate of implantation associated with an increased absolute count of activated NK cells (CD56dim CD16+ CD69+), and CD56+/ CD69+ cells have been found to be more common in the decidua of patients who have had an RSA, compared with those from a normal pregnancy (Ntrivalas et al. 2001). With recurring spontaneous abortion (RSA), patients have been found to show around 12.3 per cent total CD56+ compared with only 6.59 per cent in patients with a normal pregnancy (Ntrivalas et al. 2001). Furthermore, RSA patients have been found to show 13.1 per cent in total for CD56dim, and 7.29 per cent in patients with a normal pregnancy (Ntrivalas et al. 2001). Some ART clinics offer blood tests to identify levels of NK cells, although these will only test the natural killer cells present in the blood and not the NK cells in the uterine cells. Treatments that are offered are high-dose steroids, intravenous immunoglobulin (IVIg), and tumour necrosis factor-a (TNF) blocking agents (Human Fertilization & Embryology Authority 2010). Use of these treatments comes with potential risks, which patients must understand before beginning. Some of these risk factors include headaches, muscle pain, fever and chills, lower back pain, blood clots and kidney failure. Examples of the more extreme risks include the introduction of infections such as hepatitis and HIV, or the onset of lymphatic cancer or tuberculosis (Human Fertilisation & Embryology Authority 2010). Not only do these treatments carry side-effects, but also they are not licensed in reproductive medicine, nor is there any widely stated conclusive evidence that they work. As such, patient consents must be signed, dated and witnessed (Human Fertilisation & Embryology Authority 2010). Some people use the treatments in conjunction with other drugs, alternative natural therapies and anti-inflammatory foods. Dietary approaches as a brief overview is presented below. 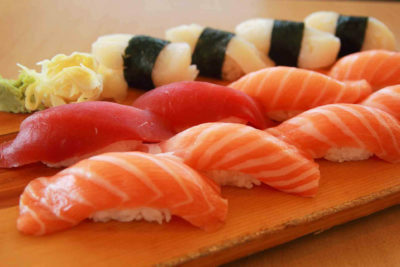 Foods that are high in sugar and saturated fats (fried and fatty foods) can cause over activity of the immune system, while omega-6 and animal fats can lead to inflammation, fatigue and damaged blood vessels (Pizzorono, Murray and Joiner-Bey 2002). Anti-inflammatory properties can be gained from a diet of foods that are high in vitamin C and fibre, for example fresh beetroot, as well as oily fish high in omega-3 such as salmon, mackerel, tuna and sardines (Hart 2014). An increase in wholegrains is recommended while avoiding refined grains, such as white breads, cereal, rice and pastas, which can cause inflammation responses to worsen (Hart 2014). Wholegrains have less sugar, and are found to have more fibre. Eating dark leafy greens is also important, as these contain vitamin E, which protects the body from inflammation-causing cytokines (Byrd-Bredbenner et al. 2009). Highest concentrations of vitamin E can be found in spinach, kale and broccoli; these vegetables also contain good levels of calcium and iron (Hart 2014). Almonds and walnuts are another good source of vitamin E, fibre, calcium and alpha linoleic acid (ALA) (Hart 2014). Yellow and red capsicum, and chili, are all high in anti-oxidants and have anti-inflammatory properties (Hart 2014). Turmeric and ginger have been shown in studies to have an anti-inflammatory effect (Surh 2002). Turmeric helps to turn off NF-kappa B, which is a protein in the body that regulates the immune system and triggers the inflammation process (Surh 2002). All berries are high in anti-oxidants and have anti-inflammation properties, while tart cherries are said to have the highest anti-inflammatory content of any food (Hart 2014). Natasha Dunn – Embryologist, yoga teacher and contributor to the Fertility Lifestyle Program. Acupuncture during IVF treatment and can be used to help minimize and/or eliminate the side effects. During an IVF cycle fertility drugs are prescribed to stimulate the growth and development of eggs in the ovaries and then to induce ovulation to release a woman’s eggs for collection for IVF (in vitro fertilization). Acupuncture involves stimulating specific points on the body with small, thin needles that penetrate the skin. During ovarian stimulation and ovulation induction acupuncture has been used effectively to treat the common side effects caused by the rapid changes in hormone levels. These include hot flushes, night sweats, dizziness, headaches, tiredness, abdominal tenderness and swelling, breast tenderness, mood swings, nausea and dizziness. IVF drug stimulation protocols are highly individualized. They can vary significantly between women, fertility specialists and can vary from cycle to cycle. The extent of side effects experienced will also vary between women, and often from one cycle to another cycle. Acupuncture is recommended after egg collection to help recovery from anesthetic, local tissue trauma, and the prevention of OHSS. The timing and number of acupuncture treatments will vary between women and their individual circumstances to best aid their recovery in readiness for embryo transfer. Egg collection is the next step after ovarian stimulation and ovulation induction. It is an IVF surgical procedure and can cause bloating, tenderness from enlarged ovaries and general discomfort following the procedure. It’s normal to have abdominal cramping and bloating for up to a week after egg collection. The severity of symptoms can vary greatly between women. It can take a couple weeks for your ovaries to return to normal size. Pain should generally subside within 48 hours. Bloating can continue for a week or so. The WHO recognizes that acupuncture can help ease the stress on the body caused by surgery and anesthetic by helping with pain, nausea/vomiting, urinary retention, decreased gut motility and anxiety. Research has shown that stimulation of points that innervate the vagus nerve activates mechanisms in the body that reduce inflammation. The use of electro-acupuncture during IVF treatment has also shown to be effective at reducing inflammation by activating cytokines, the molecules that help reduce inflammation. There is a small risk of hyper-stimulation (OHSS), which generally happens when a large number of follicles are emptied at egg collection and fill up with water (cysts). Symptoms can include vomiting, diarrhea, breathlessness, excessive abdominal pain and swelling above the belly button. If you start to experience any of the symptoms of OHSS you should contact your nurse immediately. If OHSS is identified at the very early onset acupuncture can be used successfully to treat mild to moderate cases to relieve discomfort to prevent it developing into more serious symptoms. 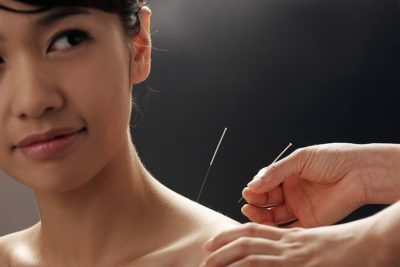 In severe cases acupuncture can be used with western medical treatment. Fertility and how your sleeping habits could be affecting it! We often hear about sleeping and fertility or more annoyingly how irregular sleeping habits can make us fat! Well, there is a reason for this, and it’s to do with hormones. Most hormone secretion is controlled by our circadian rhythm of which sleep plays a major role in. This process is easily disrupted by lack of sleep, late nights, shift work, etc. When the production of Melatonin and Cortisol are affected during this time we can feel a ‘jet lag’ feeling the following day. During sleep our bodies work hard to repair cells and regulate hormones such as Leptin which is an important link between sleep and fertility. Without proper Leptin production menstrual cycles can become irregular. Moreover, sleep, or lack of, affects important fertility hormones such as estrogen, progesterone, LH and FSH, and I’m sure you’re all aware of the importance of these! So, the thing to remember is try to create good habits at the end of the day…create some quiet time…put down the phone, turn off the TV and really get set for a good night sleep. Your body will thank you and in the morning you will be rewarded by feeling great and getting off to a good start. Have a great night sleep!! 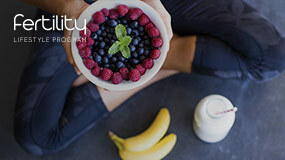 Visit us at The Fertility Pod – Acupuncture & Nutrition for more information…we’re here to help you on your journey! Acupuncture – why such a buzz? You probably hear a lot about acupuncture whether trying to conceive naturally or through IVF. Research shows that acupuncture improves blood flow to the ovaries and the endometrium. This allows the ovaries to function at their peak and helps to increase the lining thickness of the uterus. A short treatment prior to and immediately after embryo transfer is shown to increase the chances of implantation. In preparation for an IVF cycle acupuncture can help regulate hormones, improve the menstrual cycle and promote ovulation whilst relieving stress by working on the central nervous system. Most patients feel that acupuncture helps them to sleep better and have a more relaxed and optimistic state of mind. Research shows that acupuncture increases the success rates with IVF treatment and, therefore, it is highly recommended. Men: It’s also very helpful for enhancing sperm count and motility whilst alleviating stress. At Bump we prefer to see women once weekly approaching an IVF cycle and on days 3, 6 & 9 of drug cycle. This is then followed by a short pre/post treatment on the day of embryo transfer to assist with implantation. If trying to conceive naturally then we would ideally like to see patients weekly for around 12 weeks. You can certainly keep trying to conceive during that time. We will discuss more about acupuncture over the coming days. It’s amazing to see women coming in to us on the day of embryo transfer – stressed and in some cases very anxious (especially the ones who have never done it before). By the time they leave for transfer they are usually relaxed and ready. There is a lot to be said for that. We as acupuncturists really feel a sense of satisfaction when a patient has had a great result from an acupuncture session. Perhaps we should all join the club! Visit us at The Fertility Pod Acupuncture & Nutrition for more exciting information. The liver is one of the most important organs in the body. It works like a filter and governs around 500 metabolic processes which keep the body healthy and fertile. It also helps to maintain blood sugar levels by assisting carbohydrate metabolism. this process helps metabolize fat and balance cholesterol. Liver function is strongly affected by toxins and stress. Things such as non-organic foods which may contain mercury, lead, PCBs or any number of pesticides can put a strain on the liver. Air pollution, medications, alcohol, caffeine, household cleaners and even some skin cares can affect the natural mechanism of the liver. Estrogen dominance can also come about when progesterone levels are low. Remember when I keep harping on about cortisol levels? Well, when stress from overwork, over-exercise, or life in general gets too much then those cortisol levels rise and block the receptors that progesterone needs to rise. So, progesterone levels drop and can cause estrogen dominance. A healthy liver and less stress are the key! 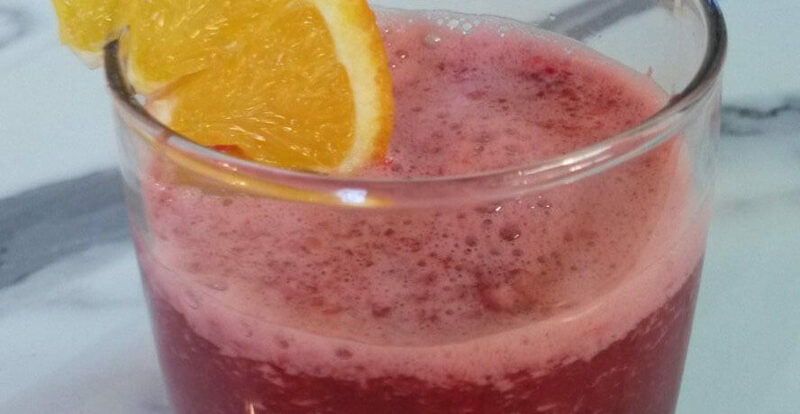 Start your day with hot water and lemon juice!